Korean beauty trends have been inspiring our skincare regimens for years. Sheet masks, snail creams, jelly cleansers… you name it and we’ve probably slathered it all over our complexions. 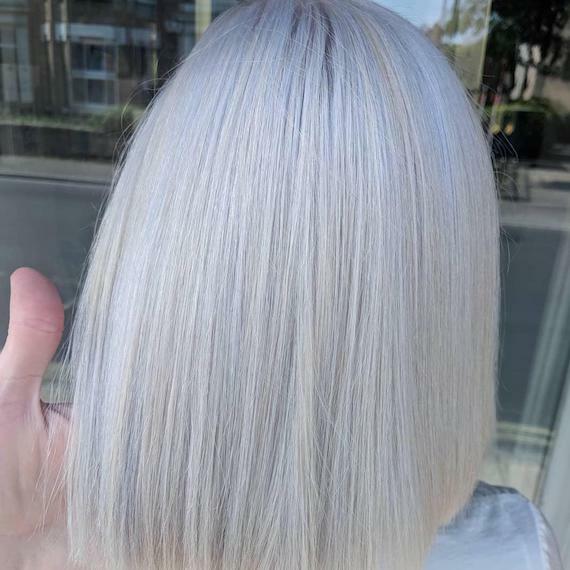 But there’s one trending term – ‘glass skin’ – that’s filtered its way into the haircare industry, resulting in a stream of sleek, super-smooth, reflective manes, alluringly dubbed ‘glass hair’. 1. Chop in a blunt cut first. 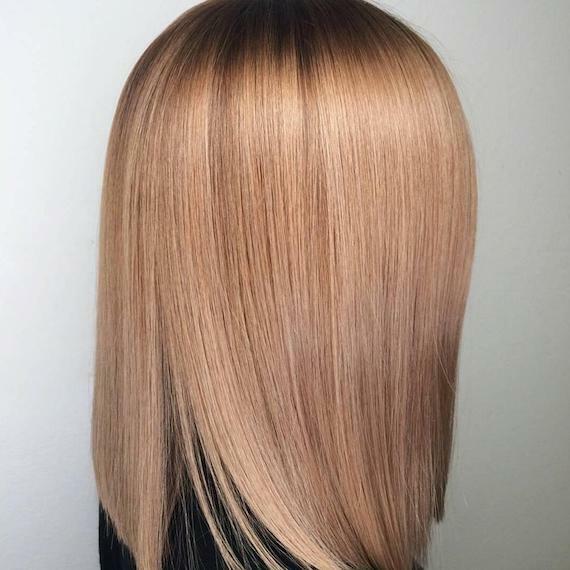 Trim hair straight across, taking fine sections with minimal tension and ensuring the base line is shortened to meet any longer layers your client may have. This will create a precise finish. If they have short layers, soften them until they blend seamlessly with the rest of mid-lengths. 2. Mix 1-2 pumps of EIMI Cocktail Me, a clever, new gel-oil that delivers long-lasting frizz resistance, with EIMI Perfect Me, a BB cream for your hair. Smooth onto damp hair from mid-lengths to tips. Then, grab a round brush and blowdry hair straight, ensuring the hairdryer nozzle is always pointing down the hair shaft to smooth the cuticle. 3. Get hair straighter still by spritzing with our heat protectant spray, EIMI Thermal Image, then gliding the Pro Straight Color straightening iron over small sections from root to tip, to avoid marks and bumps in hair. Finally, spray EIMI Oil Spritz into the palms of your hands and gently smooth it over the surface of hair. The result? Instagram-ready gloss and silky softness. 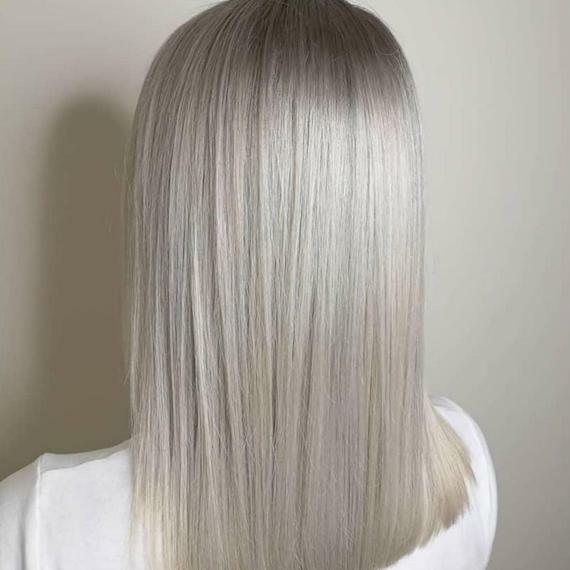 Ice blonde color simply ups the shimmer in this glossy glass hair look. 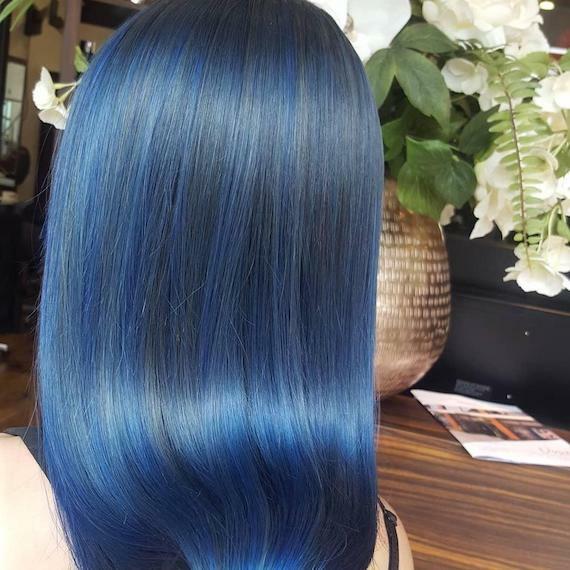 Combine Color Fresh CREATE in New Blue with a glass hair finish for the marine mane of dreams. Glass hair is best worn with a blunt bob haircut, a la Bella Hadid, Kim Kardashian and Kendall Jenner. 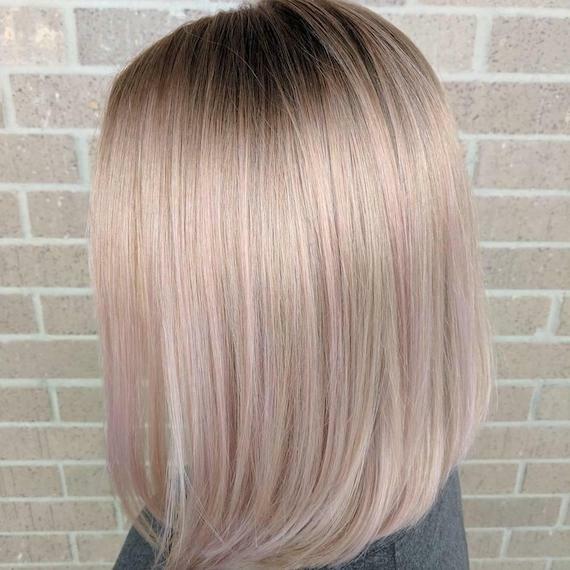 Pastel pink ribbons add dimension to this one-length, one-texture trend. To enhance shine further, lightly spritz a little EIMI Glam Mist over the hair and comb through. For more hair tips and inspiration, check out the Wella Professionals Instagram. Don’t forget to share your clients’ favourite glass hair looks by tagging your own creations with @WellaHair #AskForWella.